This is cathegory for cats and kittens in Melbournewhere you can find cats and kittens for sale in Melbourne,diffrent cats and kittens in this Melbourne,colour and breed. Cats for sale, kittens for sale ads in Melbourne. 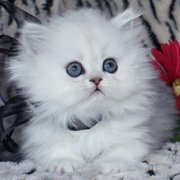 Thank you for visiting our free advertising website Cats for sale, kittens for sale, Melbourne section. We provide high response free classifieds and free advertisement. Use our online free Cats for sale, kittens for sale classifieds placement system to find, list, offer Cats for sale, kittens for sale online! 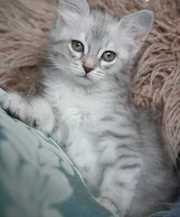 Adorable SIB (Neva Masquerade) male-kitten AMUR n2133 born 16.06.2012 comes from very good lines of Siberians. Father WCH WCF Jurai Danvel of SiberianSapphire ns2133, mother CH WCF Safari Ars Longa n33. Here you can see the pedigree of the litter http://www.facebook.com/photo.php?fbid=260017040786902&set=a. FREE BENGAL cat - female 3y.o. Female Bengal Cat. Rescued December 2010. Approx 3 years old. Small for a Bengal and extreamly friendly. Not bothered by dogs and loves people & children. We have managed to put weight on her, worm and flea treat her. She has been tested for feline aids and lukemia and was neg to both. Nakita is fully vaccinated and has had a tooth and abcess removed. They are health confirmed, crate and potty trained, and are now available for adoption by interested pet loving homes..
my kitten is so friendly to people, due to the nature of my job i wish to give it out to somebody who can take care.. Contact for more details if you are interested. Australia free ads for Cats for sale, kittens for sale, Melbourne, Cats for sale, kittens for sale free ads Melbourne, Cats for sale, kittens for sale for sale Melbourne, Cats for sale, kittens for sale to buy in Melbourne. 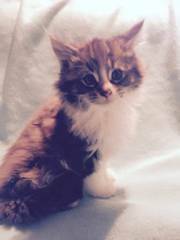 Find on this page free classifieds for Cats for sale, kittens for sale in Melbourne. This listing includes classifieds for sale and to buy in Melbourne. FREEADSAustralia Melbourne offers you a platform to post free advertisements or classifieds for Cats for sale, kittens for sale in Melbourne. FREEADSAustralia helps you search, find buy, sell, rent or hire in various categories like apartments, goods for sale, local services, cars , jobs and many more in Melbourne. If you posted an advertisement in category Cats for sale, kittens for sale of FREEADSAustralia Melbourne before please use Edit my ads button to change or cancel your ad. Cats for sale, kittens for sale Melbourne ads Melbourne, Cats for sale, kittens for sale classifieds Melbourne, Cats for sale, kittens for sale free ads Melbourne, ads for sale Melbourne, ads to buy Melbourne, FREEADSAustralia. Find here ads for sale, to buy and rent in Melbourne. Goods for sale in Melbourne, vehicles for sale in Melbourne, Melbourne real estate for sale, Melbourne property for sale, property for rent in Melbourne, business ads in Melbourne, Melbourne business classifieds, services in Melbourne, Melbourne services ads, jobs in Melbourne, pets for sale in Melbourne, Melbourne dating, Melbourne cars for sale.